Bibi to Shinzo Abe: Put This Foot In Your Big Mouth, Prime Minister of Japan! RENEGADE TRIBUNE — Prime minister of Japan Shinzo Abe was served a cold dish that he will never forget. Abe was given a message by Israeli Prime Minister Netanyahu that the Japanese head of state needs to be just another bootlicker, like Israel’s obedient shoe-licking poodle Donald Trump. 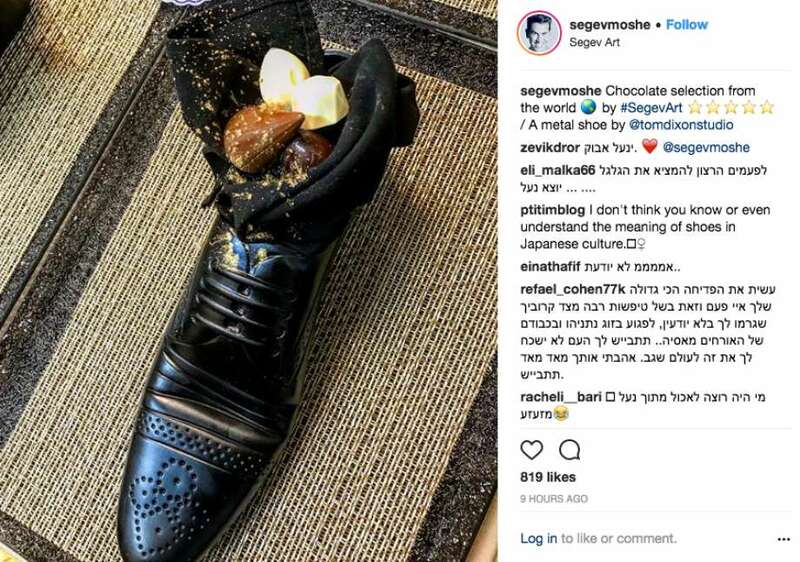 Abe was sent a shoe for dessert, which is the ultimate insult in Japanese culture, because in Japan it’s taboo is to wear or bring a shoe to the dinner table or place of eating. 1 Comment on Bibi to Shinzo Abe: Put This Foot In Your Big Mouth, Prime Minister of Japan!